Abul Bajandar from Bangladesh – or Tree Man, as he is often referred to by the media – first rose to global fame when strange growths resembling tree branches began to sprout from his hands and feet. Caused by a rare inheritable condition called Epidermodysplasia verruciformis, these unusual appendages have now been removed by doctors in Dhaka, who are hopeful that they may have cured the disorder once and for all. 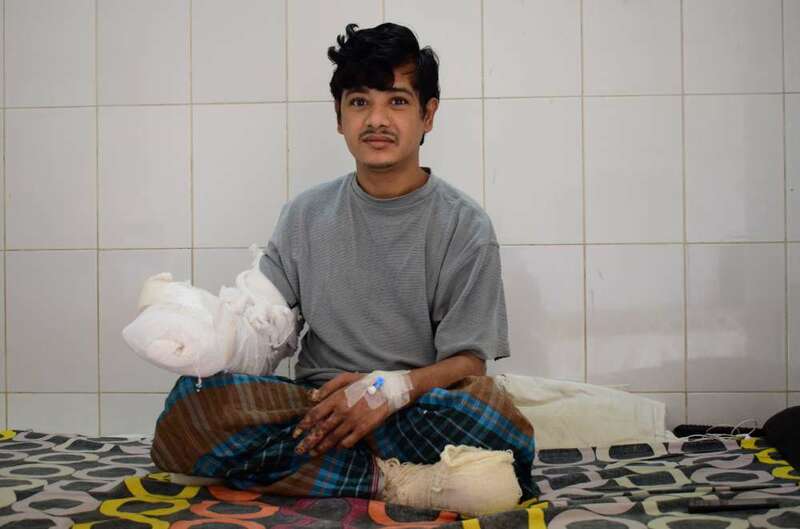 Bajandar has undergone 16 operations at the Dhaka Medical College Hospital, where surgeons agreed to treat him free of charge after learning about his condition. However, while the tree-like growths have been removed, doctors aren’t yet sure if they will grow back. Epidermodysplasia verruciformis is characterized by a high susceptibility to infection by a virus called human papillomavirus. Often this virus produces no symptoms at all, but sometimes it can cause the growth of tumors, just like the wooden-like sprouts that appeared on Bajandar’s body. Samanta Lal Sen, who led the operation, told AFP that the procedure marks a “remarkable milestone in the history of medical science,” and that if the tumors do not return, Bajandar will be the first person ever to be cured of this condition.